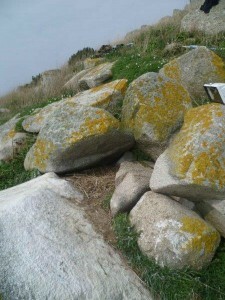 Spring is here and seabirds are returning to their nests in the Channel Islands. This year there are increasing opportunities to watch these birds from wherever you are through nest cameras and video links. 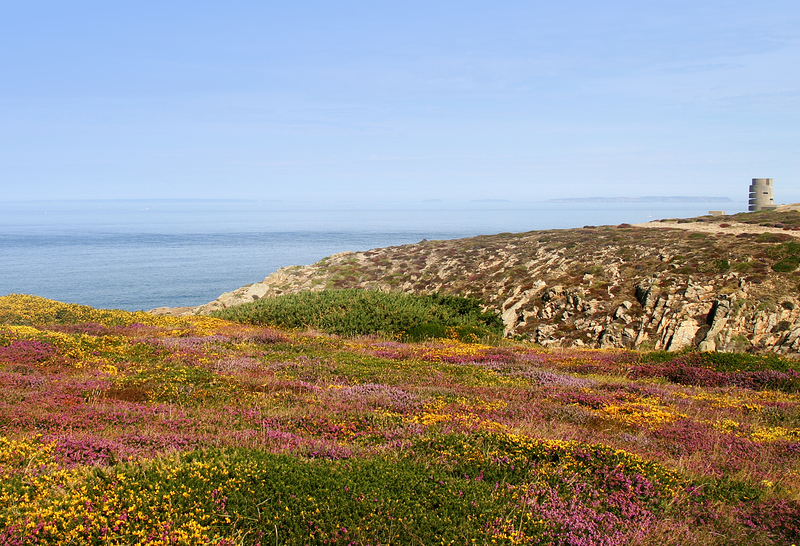 The Alderney Wildlife Trust plans to have several webcams that stream 24 hours a day. 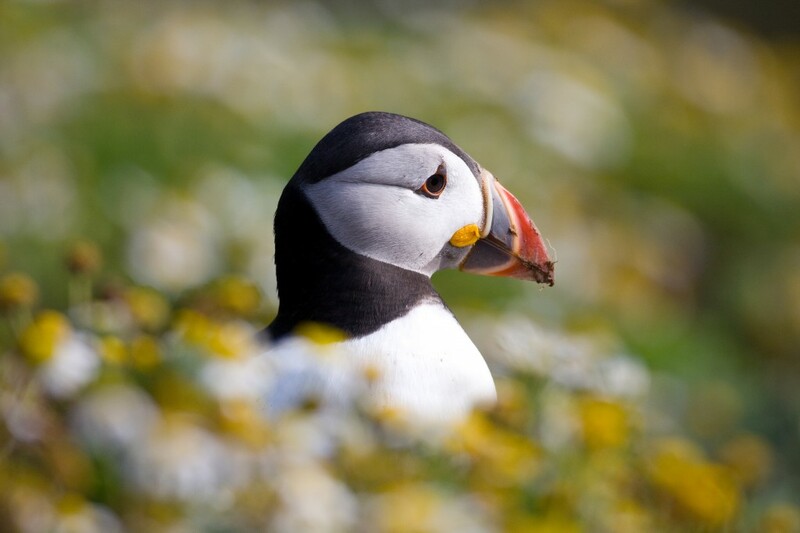 This year again two cameras are focused on Burhou’s Atlantic puffin colony but viewers can often see storm-petrels, gulls and even the occasional rabbit! The AWT webcams are available for everyone to watch and can be found on the LIVE Website. You can also keep up to date on all the activity and see the latest highlight clips on the LIVE Facebook page. Highlights from previous years can be seen on the websites too (this is one below). Spring Cleaning Puffin from Living Islands: Live on Vimeo. In 2015 there will hopefully be two further cameras keeping us up to date with our seabirds. The Jethou camera does not yet provide a live feed but takes an image every five minutes. However, the IT gurus put together a YouTube film (see example below) of each day’s clips joined together as a short film which can be accessed here. If possible, a live web camera may be installed in future – if sponsorship can be arranged. 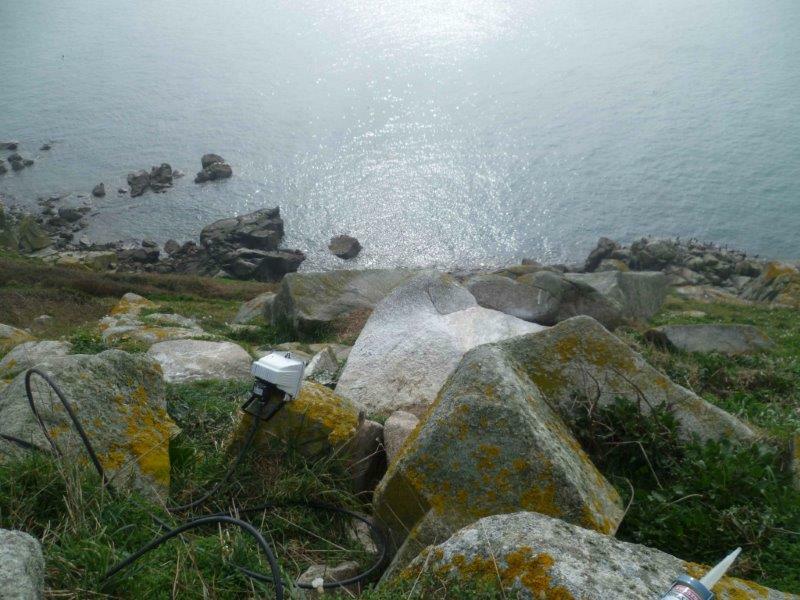 If the Jethou camera continues to be as successful as it appears to be so far, plans will be developed for a similar web camera on the Humps, the small islets off the north coast of Herm, which also are an important seabird breeding area. Everyone is very grateful for the continued support of Jethou Island in this and other seabird initiatives. Gannet Chicks from Living Islands: Live on Vimeo. Birds On The Edge would like to thank Catherine Veron, Vic Froome and Alderney Wildlife Trust for their help with this blog piece.